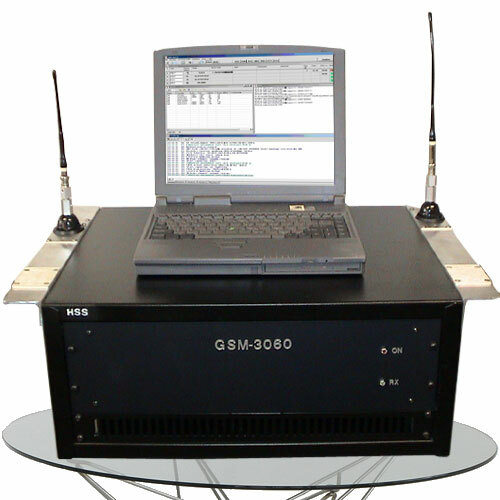 The GSM Intercept model GSM 3060 is a Cellular Monitoring GSM Interception system able to break the GSM A5.1 encryption algorithm during real time communications that secures cellular phones on a GSM cellular service network. Passive GSM Interception for the A5.1 protocol involves deciphering the encryption format used to secure GSM A5.1 communications. In addition, the GSM Intercept can also simultaneously diagnose threat marked key words when deployed with the HSS Chatter Guard Word Identifier, a system used to capture words or phrases from a pre-determined threat database. This enables Law Enforcement to conduct GSM Cellular Interception of A5.1 and review communications for trigger words, names, and other audio voice codes used by suspected terrorists or criminals. The HSS Chatterguard Word Identifier is an integrated feature that can enhance cellular monitoring GSM Interception COMINT. How does the word threat identifier operate? A formulated Key Word spotting technology is engaged while GSM Intercept cellular monitoring takes place. This is an automated process that occurs under live conditions. This review tracks user defined keywords over hundreds of concurrent calls in real-time as well as off-line modes. Unlike speech recognition for telephony speech-driven services, the Chatter Guard engine is geared to function with cellular interception variables of COMINT, active during the whole duration of the cell phone call, searching for specific words within a long spontaneous and natural conversation between two or more speakers. For more information on the Cellular Monitoring GSM Intercept, Click Here to request access to technical data and research material. 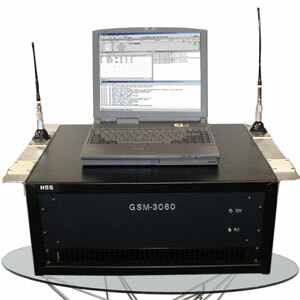 For a system overview on cellular monitoring technology, you may review the descriptions found here at www.gcomtech.com. For additional information, you may also visit http://www.cellularintercept.com to learn about Cellular Monitoring Adaptability, Tactical Mobility, Wiretap Warrant Execution, and Passive Cellular Monitoring solutions, or you may Click here to Register for customized inquiries and quotations. Note: Cellular Monitoring technology is only available for government agencies.